Do You Remember the 70s, 80s and 90s? 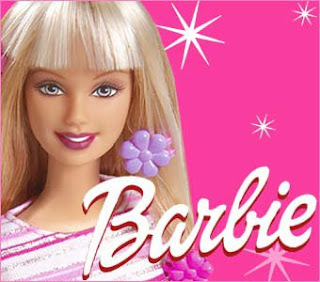 : Happy Birthday Barbie! Still as popular as ever, Barbie in all her incarnations has dazzled us with outfit changes, boyfriend changes, pet poodles and camping trips in her hot pink mobile home. She's survived countless law suits, having her legs bent rather unnaturally at times, and of course, some pretty horrendous DIY haircuts courtesy of the little darlings she lived with. Still, she's wrinkle-free despite this (and it's not because of Botox!). Named after her creator, Ruth Handler, Barbie Millicent Roberts was first introduced to the word at a New York toy fair in 1959. Wearing a black and white swimsuit and high heels, she was an instant hit. "Barbie has always represented that a woman has choices," said Handler of her creation. And boy did she have some choices to make. In her 50 years, Barbie has flitted between over 100 different careers; and who could keep track of how many times she broke up with boyfriend Ken? Today, Mattel's long-legged, waspish-waisted, blonde - somtimes brunette - bombshell is still making her mark in the competitive toy market. And long may it continue! Happy birthday, Barbie!